The winning projects range from health care to international education, from cultural understanding to science and technology, and from art and literature to the special needs of various populations. To receive these awards, the recipients must be nominated by associates and peers. The deadline to apply is 4:45 p.m., Friday, February 1, 2019. Notification to applicants will be made by Friday, March 8, 2019. For more information please contact Dr. George Daniels, Chair, Excellence in Engagement Awards Committee, at gdaniels@ua.edu or 205-348-8618. Nominations for this category should demonstrate how the investigator considered needs, developed means to address those needs, documented actions taken to achieve defined outcomes, and demonstrated measured success in achieving those outcomes. Nominations should document how the project or projects resulted in, or showed high potential for, scholarly publication, conference presentation, and additional funding; demonstrated unique activity involving the community and the University in collaborative efforts to achieve outcomes that improve the community in measurable ways, and how they built capacity within communities rather than merely provided a one-time service. Past projects have examined educational improvement; business, industrial development, and the economy; law, governance, and public policy; labor relations, training, and workplace safety; public safety, security, and corrections; science, technology, engineering, and mathematics; human communication, including new media, media institutions, and media effects; public understanding and adult learning; children, youth, the elderly, and family issues; cultural institutions and programs; community health and health care; the arts, music, and entertainment; the environment, natural resources, and land use; and faith-based programs. Successful projects will demonstrate strong synergistic collaboration between the University and community organizations and/or extend the classroom experience. 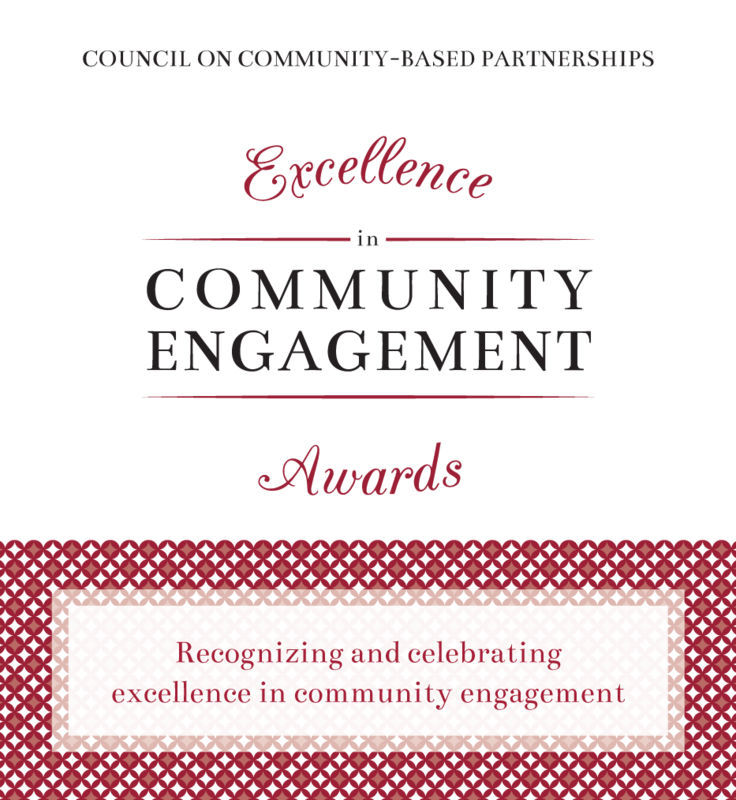 Nominations for this category should demonstrate an individual’s record of sustained, distinguished, and superb achievement in public service and engagement in community-based partnership efforts that have made outstanding contributions to the quality of life in Alabama over an extended period of time. This award recognizes individuals who have gone above and beyond in support of one or more community-based partnership projects or whose work demonstrates superior understanding, appreciation, and support of community-based partnership efforts. Nominees whose work has been published and/or presented at major conferences will be given preference.